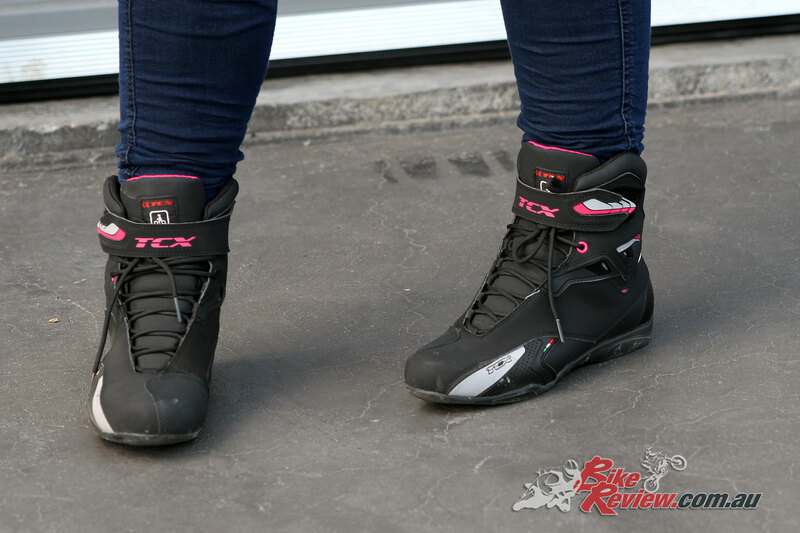 The best way to describe the TCX Rush Women’s Waterproof Boots is simply ‘wear and go’. 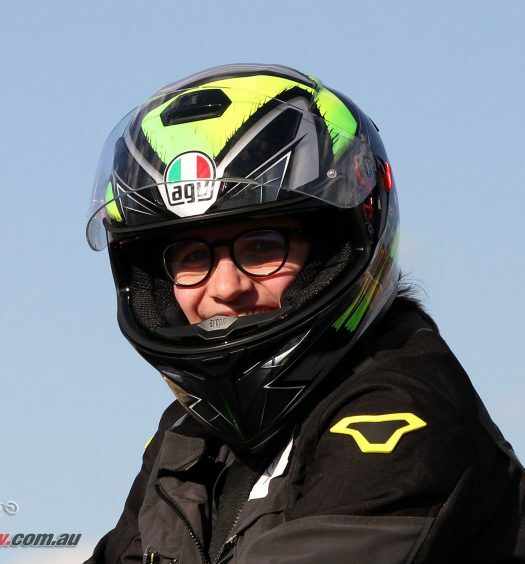 I’ve been wearing the Rush boot for a couple of months now and from day one I haven’t experienced a moment of discomfort; not when first wearing in, nor when on or off the bike. This level of comfort is owed in part to their construction and in part to their height. Theses boots are made from suede leather and matte microfiber which are soft to begin with and have a lot of give. 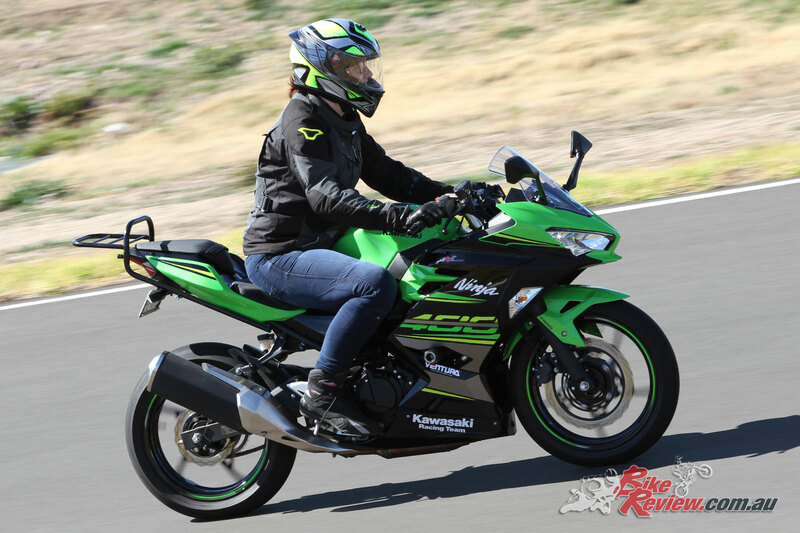 This construction also allows a lot of feel, which was particularly comforting when changing gears and braking – you can trust that you’ll find the gears each time. Ankle boots vary slightly in length and in my experience can be uncomfortable and restrict movement, the further up your calf they reach. The Rush boot however sits at just the right length for me, just above my ankle – I can move my feet with ease, and when walking the shoes don’t dig uncomfortably into my legs. 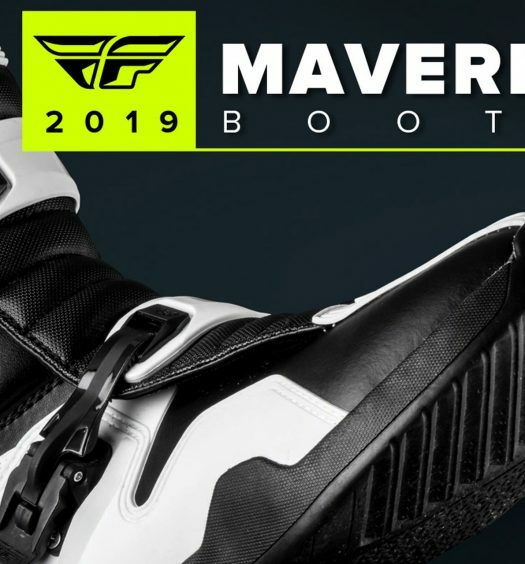 In terms of safety the Rush boots feature a heavy, high wear-resistant sole suitable for all surfaces, are reinforced in a few areas, have reflective patches and a waterproof lining meaning they’re appropriate for riding in any conditions – being ankle length you just need to keep an eye on the length of your waterproof pants however. 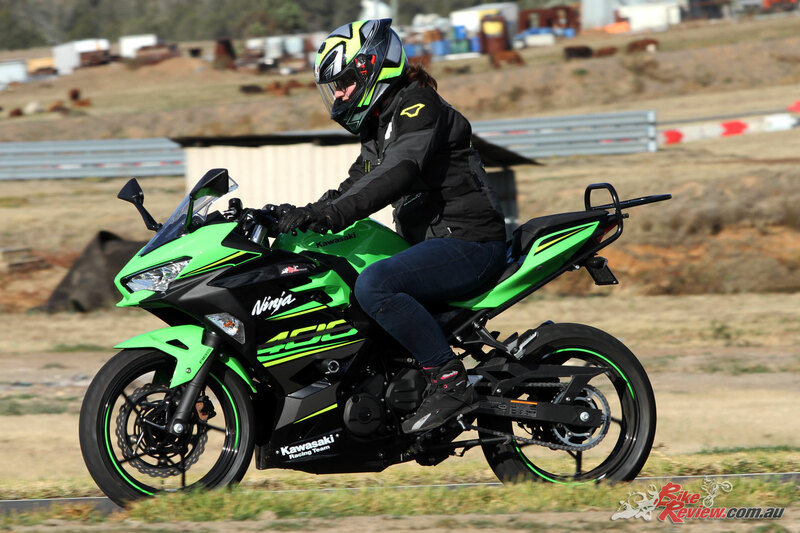 Unlike some motorcycle boots these are also fairly lightweight and slim – you won’t feel like you’re stomping around. In fact they fit neatly under boot cut jeans or tucked into skinny jeans, whatever your preference. 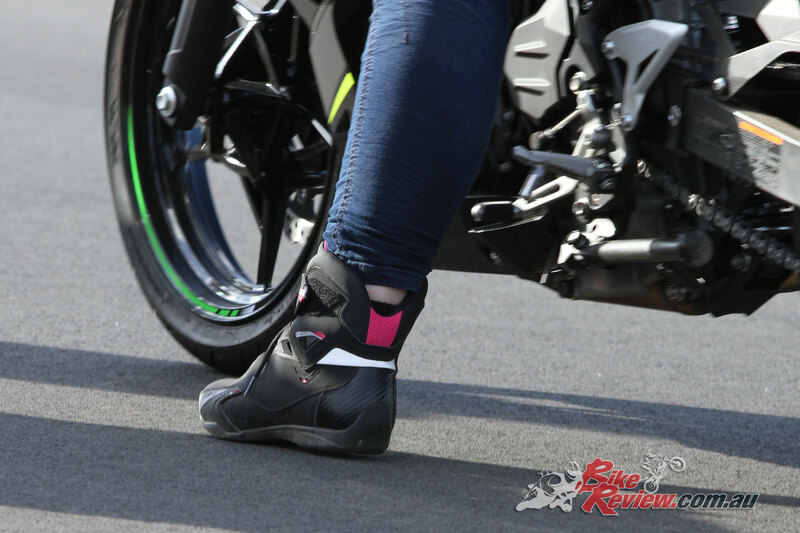 In terms of styling they’re pretty typical of a motorcycle boot – lots of different textures, and available in black with a few fuchsia accents. Personally I’m not a huge fan of wearing pink but theses accents contrast well with the black and create a bit of interest in an otherwise subtle boot. 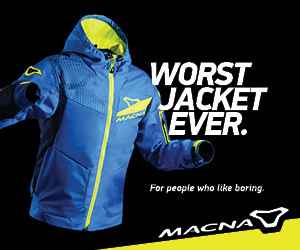 That makes them a good choice for those who don’t like the full pink approach some brands take to women’s gear, while still being stylish. The boots also feature laces and a Velcro strap closure. On some boots laces can make it difficult and tiresome to put on and take off your boots, however I found the laces slip through the openings easily meaning the boots are quick and easy to pop on and I can also tighten the laces easily and comfortable to reduce the width, which is a real blessing if you have narrow feet. Overall I’m happy with the boots – they’re comfortable, fit well and look great with jeans. They’re available in European sizes 35 to 42 (which is a watch-out if ordering online). 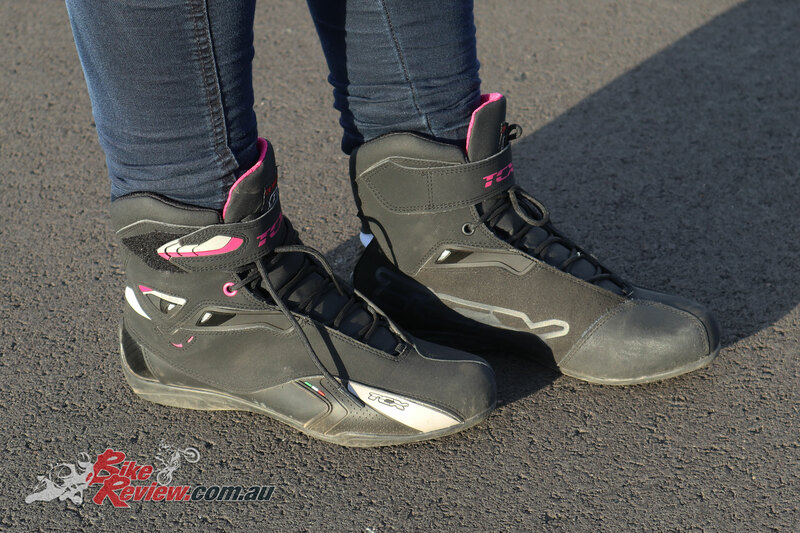 They retail for $189.00 RRP, which is good value for a quality women’s motorcycle boots but worth the price if you want protection, comfort and style. 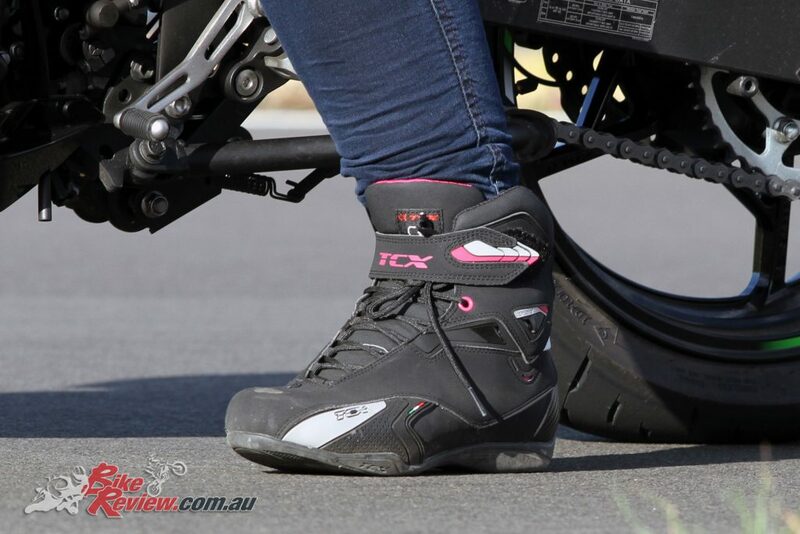 Visit your local TCX stockist, or check out the full range of TCX Boots at TCX.com.au. 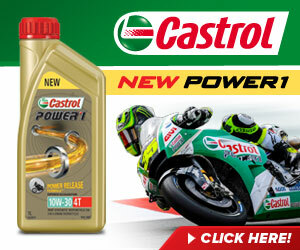 TCX are distributed in Australia by Link International. The TCX Rush Ladies boot offers a great casual ankle-length riding boot, with suede construction, subtle style and exceptional comfort. The construction is protective without being overly bulky, with great grip on the sole in any conditions, while waterproofing ensures any weather can be tackled without a worry.